Fort Calhoun Elementary Principal Drew Wagner likes to hang out with his students. 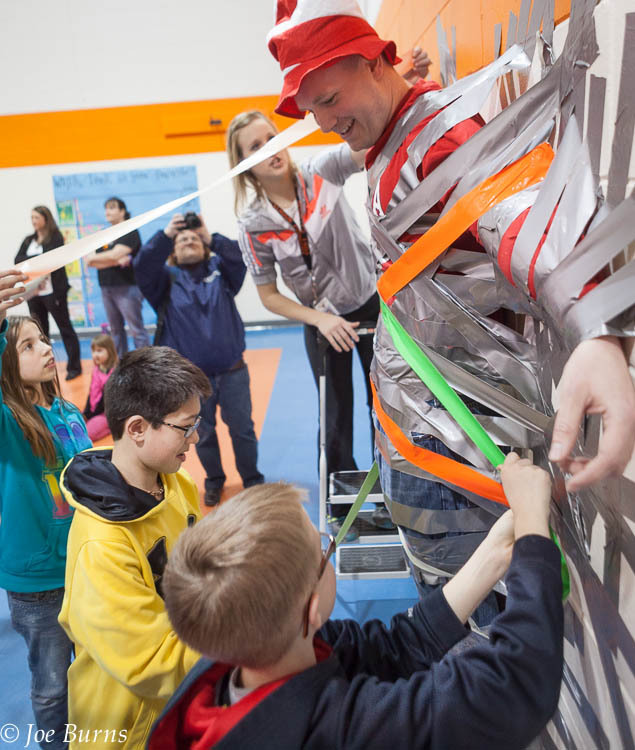 Last Friday Wagner willingly allowed students who had read 20 minutes a day an turned in their reading logs the opportunity to tape him to the gymnasium wall. 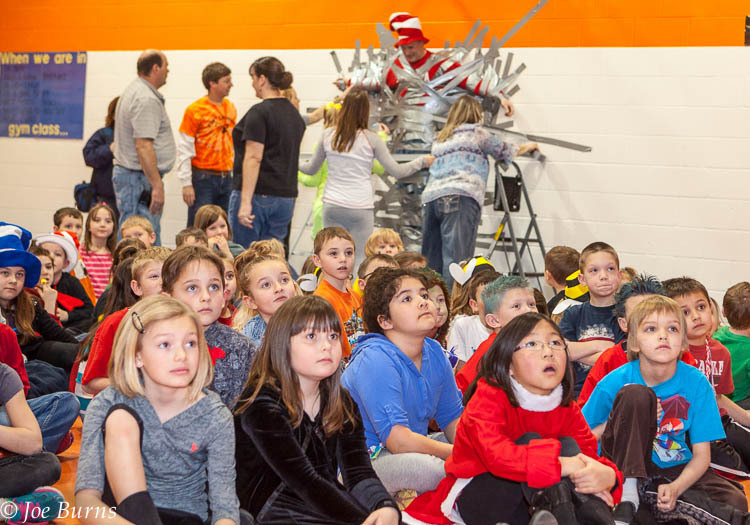 The taping was one of a number of school sponsored Read Across America activities. Sixth grade students put on the finishing touches with green and orange tape. Students watch a slide show of Read Across America activity pictures taken throughout the week.